Manchester United have won the most points of all Premier League teams since Ole Gunnar Solskjaer arrived at the club. They have won 25 out of 27 possible points, winning almost half of their total points in just nine matches, eight less than Jose Mourinho had at disposal previously. This meant Man United reached top four of the league standings for the first time since the opening day of the season. It is a telling stat which goes to prove just how long the fans had to wait to finally see a United team performing as they can. Fulham were dispatched 3-0 on Saturday and here we will be taking a look at some important storylines. Fulham had created three really good chances throughout the match, but two of them came inside of the opening three minutes. First, it was Luciano Vietto who had a go from close range in the first minute, before Aleksandar Mitrovic could not manage to materialize his headed shot from even closer range. If Fulham had managed to score from at least one of these chances, things would have gone differently. They would probably grow in confidence and make fans stand behind them for the whole 90 minutes and United would have had to fight back like so many times this season. That is not to say United still would not have won, but rather to point out that a 3-0 scoreline could have been a lot closer. In fact, xG of 2.18 for Fulham shows just how dangerous they were at times. Paul Pogba was man of the match for a reason. He scored two goals, first being a great finish from a tight angle and the second one being a precisely taken penalty. But he also did plenty of other stuff. His dribbling was good again, three successful from five attempts, bringing the ball always closer to opposition’s box, while still putting up decent defensive numbers. 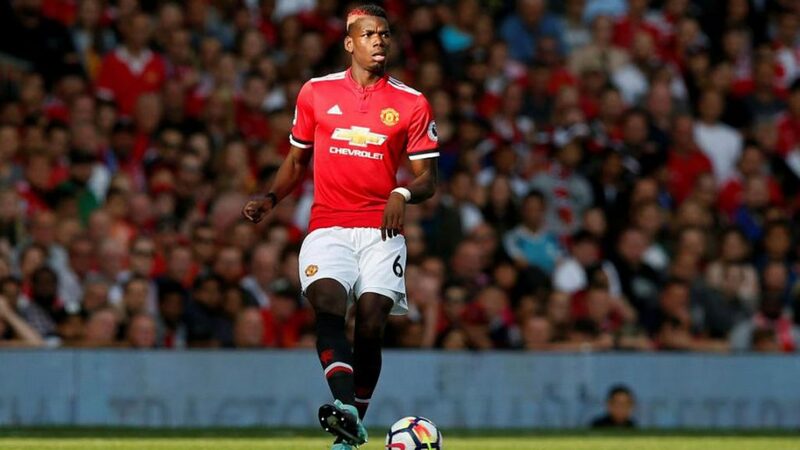 Pogba had three blocked passes, stopping Fulham’s attacking sequences, adding two tackles to the tally. He was not on the ball as much as usual, but whenever he was, he was as effective as it gets. The player that had a lot of the ball was Jean Michael Seri. Fulham’s central midfielder was supposed to be a huge signing last summer, but turned out to be another misfiring player. Seri had the most touches and the most completed passes in this match, but he did not do much in attacking third. Seri did help out here and there with his tackling in defensive aspect, but attacking-wise, he was almost non-existent. He created one chance, but it came from a corner kick, not open play, and had one blocked shot from some 25 yards. United could give him time on the ball and not worry too much, as he was everything Pogba was not. Unable to impose himself on this match, Seri had to satisfy himself with plenty of non-important short passes in the middle third of the pitch.